Which is the best way to put function plots into a LaTeX document? You can also pre-calculate values using another program, for example a spreadsheet, and import the data. This is all detailed in the manual. With version 3 of PGF/TikZ the datavisualization library is available for plotting data or functions. Here are a couple of examples adapted from the manual (see part VI, Data Visualization). tikz + gnuplot (see the manual for details). Here's a "live" example used in a lecture (using beamer) to illustrate the convergence of a series of square-integrable functions. 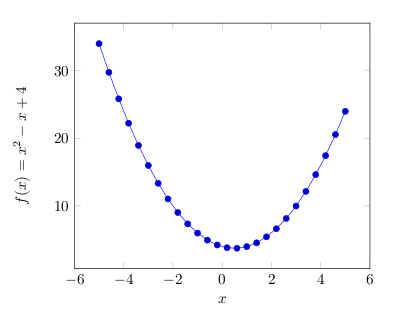 Further possibilities are pst-plot or Asymptote via the asymptote package. Not so good (because of less consistency) would be gnuplottex. 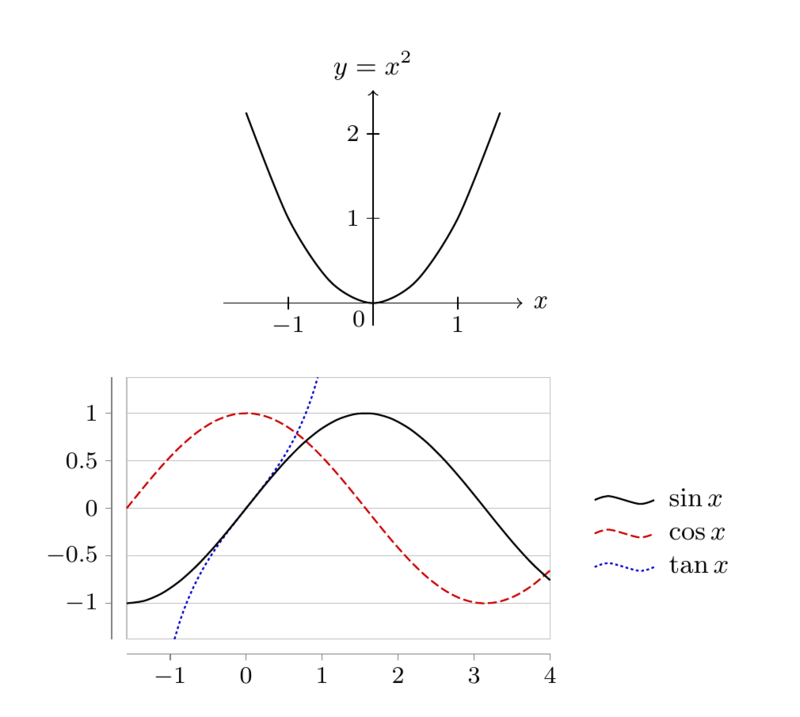 Is there a specific reason you need to graph the function within LaTeX? wouldn't it be better to use something like R or matlab to generate a pdf that you can then \includegraphics ? This will generally speed up compilation, and graphs thus generated are probably more customisable and so on. I feel this gives me much needed control over my graphs, although I'll have to try some other solutions here before I decide which solution is the most comfortable for me. Just thought I'd add something (hopefully) of value. edit: Oops — I thought you meant graph-theory graphs, not plots of ƒ(x) versus x. I would use R and Sweave to make the graphs in LaTeX. Just to add to the mentioning of R and matlab, if you are familiar with Python, I would suggest the matplotlib library in conjunction with numPy. I use these (in addition to org-mode for emacs) all the time for publication quality plots. Not the answer you're looking for? Browse other questions tagged diagrams big-list or ask your own question. 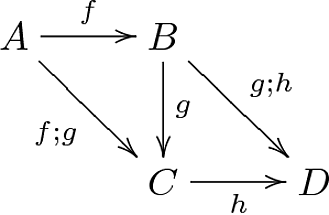 Is it possible to draw simple diagrams with LaTeX/LyX? How can I graph these figures from scratch? How to include graphs in my document? 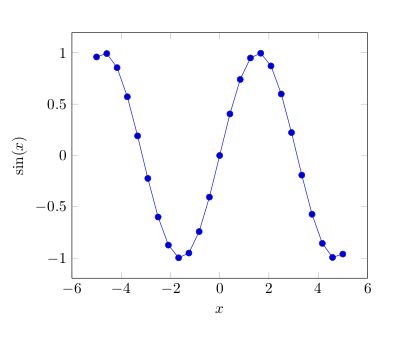 Packages to plot functions such as the logistic function (or “S-shaped function”)? How to create a line graph in LaTeX? How to generate postscript files from LaTeX pictures, with correct dimensions? What's the best way to embed Visio diagrams? Best way to replicate the node diagram in LeeMcq08? What do you use for plotting?